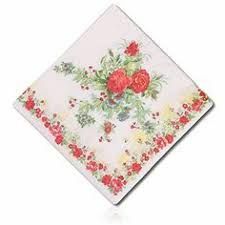 We offer vintage hankies in groups of 5 for $10. Most are brand new when I get them, but I wash and iron them to bring them back to their original glory. After placing an order, you're welcome to drop me an email to karen@gascoals.net telling me you've placed an order and prefer hankies of a particular color or theme and I'll do my best to pick out a group that will delight you. Most of them are soft and silky cotton and feature delicate, brightly colored flowers.